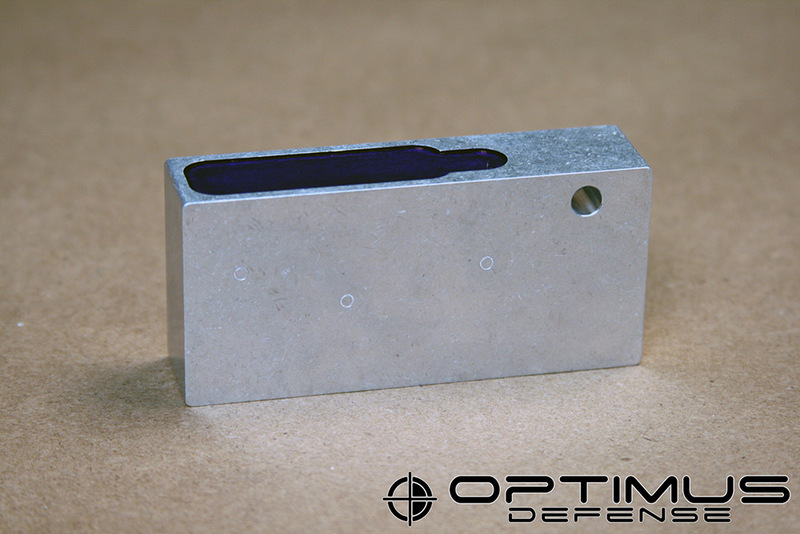 Optimus Defense AR-15 Practice Block allows you to test out your cnc code or practice manually machining the same features that will be required to complete a Optimus Defense AR-15 80% Lower. Material: 7075-T651 aluminum plate, same as an Optimus Defense AR-15 80% Lower. Engraved visual reference location of trigger pin, hammer pin, and selector holes. Blue marking dye visual reference for the fire-control pocket, which allows for the pocket to be roughed out visually before final pass milling. (Blue dye can be easily removed with acetone). Take-down pin hole reference location. Drawing for Practice Block and Lower comparison. Note: this Practic Block is not compatible with drill jigs.